For important information click on the car parks below. If you are planning to arrive by car, you must purchase a parking voucher at the same time as your show tickets. 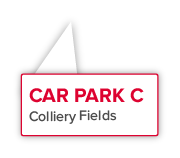 For important information on each car park, click on the map. Our car parks are designated with colours which will be used on road signs around Bishop Auckland to help you reach your destination by the most efficient route. The colours used are RED, GREEN and YELLOW. BLUE is used for Blue Badge and Coach parking only. Located just off the A689, this car park is the closest to our site and an excellent option if you are arriving from the west, east or the north via the A689 and want to beat the crowds. If you’re parking and walking from Car Park C it is a 0.8 mile walk to the Welcome Plaza. Please bear in mind that its downhill on the way there, so uphill coming back. From the Welcome Plaza to the seating area it’s a 450 metre walk. 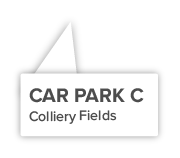 You can also Park and Ride from Car Park C. If you choose the Park and Ride option, the shuttle bus pick-up point is in the car park itself. The shuttle bus drops off on the Kynren site adjacent to the Welcome Plaza. The car park is on grass and gravel. The nearest toilet facilities are on the Kynren show site. Located in the centre of Bishop Auckland, this car park is ideal if you would like to grab a bite to eat in the town before heading to the show. If you’re parking and walking from Car Park E it is just under 1 mile to walk to the Welcome Plaza. Please bear in mind that this walk includes uphill and downhill sections on the way there and back. From the Welcome Plaza to the seating area it’s a 450 metre walk. You can also Park and Ride from Car Park E. If you choose this option, the pick-up point is at the Bishop Auckland bus terminal, which is a 150m walk from the car park. This is a tarmacked car park. 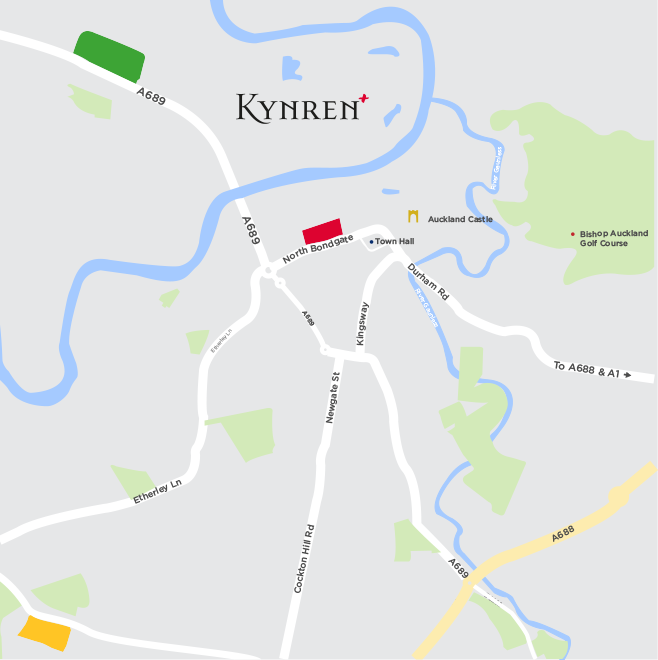 The nearest toilet facilities are in the restaurants and cafés in town that are kindly opening their facilities to Kynren visitors on show nights. Located on the outskirts of Bishop Auckland at Bishop Auckland College, approximately 2 miles from the Kynren site, this car park is a good option if you are arriving from the south and the west, or wish to avoid driving through the town centre. Car Park H is a Park and Ride only car park and the pick-up point is in the car park itself. Your shuttle transfer will drop you off adjacent to the Welcome Plaza. From the Welcome Plaza to the seating area it’s a 450 metre walk. The nearest toilet facility is in the car park or full facilities are available on the Kynren site. Bishop Auckland College has kindly made its parking facilities available for Kynren visitors across the 11 shows. No income is passed on to Bishop Auckland College, and all car parking charges paid by Kynren visitors are solely to cover the complex traffic management system across the season. Bishop Auckland College has offered the use of their car park spaces free of charge in order to support us in our goal to make Kynren a sustainable show which can continue for generations to come. We are grateful for Bishop Auckland College’s ongoing support to Eleven Arches. Eleven Arches and Bishop Auckland College are both members of the ‘Brighter Bishop Auckland Partnership’ working to help in the regeneration on Bishop Auckland.